That’s over $700 that you’ll be saving on enrollment fees. We’re living in a day and age when a cyber attack orchestrated by rogue actors and government-backed groups can uneventfully pop up in the news every few weeks. These back and forth acts of cyber warfare now seem all too common, yet still on a degree not understood by most. The skills and knowledge that are on this level of sophistication are usually reserved for those on the upper echelons of the industry. And, since the how-to’s of executing such advanced attacks are not normally discussed in detail, gaining in-depth understanding is tough to come by. This is what PTX is for. The course is built on techniques used by red team members, APT groups, nation-state actors – basically those behind the attacks and those whose task is to understand them. Covering advanced network manipulation attacks, critical infrastructure exploitation, obscure backdooring, modern evasion techniques, and providing execution details on even the most covert of operations – PTX teaches students the skills to perform advanced adversary simulation, create custom attack vectors and payloads, and even conduct state-sponsored-like operations. As with any of our courses, the eLearnSecurity structured learning approach ensures students are guided through the concepts and aren’t left scrambling left and right for materials. And, with the might of the Hera Lab behind them, students can practice advanced pentesting on a number of real-world network infrastructures. Until October 31st, 2017 – 11:59 PM PT, you can enroll into Penetration Testing eXtreme at 30% off the course fees, and get an Edition upgrade for free. That means PTX students can save more than $700 just by enrolling this October! While that’s probably enough to get anyone excited, we know that some of you may not be feeling up to the PTX challenge just yet – PTX is geared towards more advanced students, after all. But, that shouldn’t stop you from availing of this Launch Offer! With the Launch Add-on Option, you will be able to lock in PTX at the current launch fees, AND add as many other Elite Edition courses as you want for only $899 each! This way, you can first load up your skill arsenal with PTPv4 before taking on PTX – or lock in any other training course that you’ve been eyeing for a while now – without missing out on these low enrollment fees. And for those of you who are already enrolled into at least one course with us, you’ll want to check your inbox for an even more explosive deal! 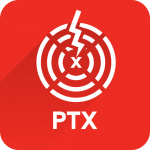 If you’re wary that PTX might be too much for you, you can first try it out using this free course demo. But, don’t take too long! Remember: the Launch Offer is only valid until 11:59 PM PT of October 31st, 2017. Penetration Testing eXtreme is the most practical and advanced training course on network pentesting. Try it for free here.